The final chapter in Clementine’s story is written, and the last instalment of Telltale’s The Walking Dead is set to release March 26 on PC. The team of former Telltale developers, now at publisher Skybound Games, completed the final episode despite their former employer’s mid-development closure last year as a result of bankruptcy. The Walking Dead first launched in 2012, where Clementine’s emotional adventure began. Seven years later, her journey will end with The Final Season finale, Take Us Back. The episode is the fourth in the series, following on from Done Running, Suffer the Children, and Broken Toys. The trailer, seen below, is packed with cliffhangers, action-packed scenes and eerie closeups, teasing the emotionally gripping experience we’ve come to expect from The Walking Dead videogame series. As it’s the final instalment of the series, Take Us Back may well offer some sense of closure – probably not without tears. We’ve followed Clementine through her story, where she now stands as a leader of a community of lost children. Can she be their saviour? 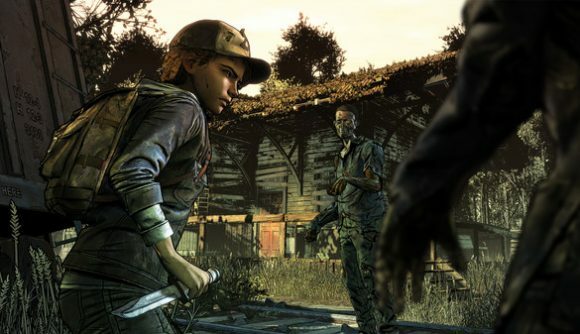 The Walking Dead: The Final Season received a positive reception for its gameplay mechanics, character development, and ability to make its audience cry on a regular basis. After seven years of hardship, Clementine deserves a break. Here’s hoping next week’s conclusion brings her some peace, and that she doesn’t become one of the series’ countless victims.